Guys, it's really hot in Denver. While I love sunshine and sunny days in general, I'm just not used to this kind of heat (especially after significant time spent in the rather mild climates of San Francisco and Portland). Denver gets the kind of heat that I haven't really ever experienced. The sun up here is brutal -- it burns my skin so easily, making it actually physically hurt to stand in the direct sunlight for too long. This is kind of a big deal, considering that I was born in the tropical Philippines and went to high-school in Texas. I decided to go with a green tea flavor simply because I had a giant can of matcha powder sitting around. 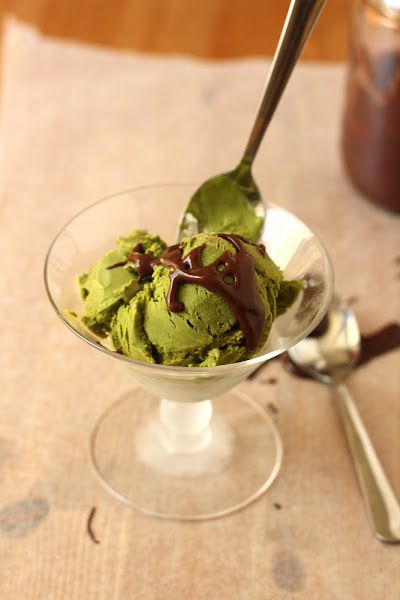 I found a traditional Japanese recipe online and was drawn to the recipe because it was simple and only had a handful of ingredients -- very much unlike the recipes in my only ice cream cookbook Jeni's Splendid Ice Cream. However, because the ice cream is from a traditional Japanese recipe, it isn't as sweet as most ice creams I'm used to -- although it was still delicious and flavorful, it had a slight bitter and tannic aftertaste. I decided to remedy this by whipping up a dark chocolate Earl Grey fudge sauce from Momofuku Milk Bar's Cookbook -- and boy was I glad that I did! 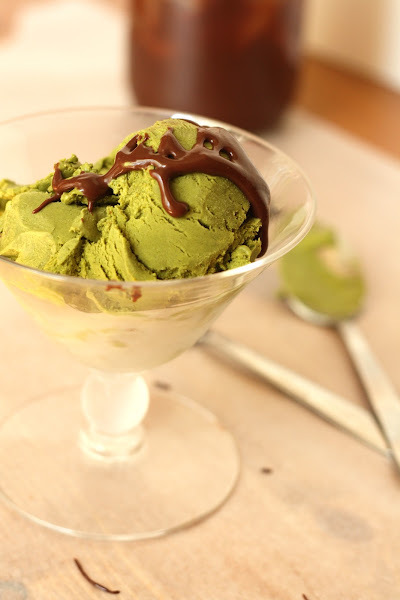 The fudge sauce married to the green tea ice cream well, its sweet dark chocolate flavor complementing the green tea and offsetting the tannic aftertaste. Put the cream, milk, sugar, matcha powder, and salt in a heavy bottomed saucepan and whisk ingredients together until combined. Try and whisk the majority of lumps away, but don't worry if it's not perfectly smooth. The next step should help eliminate most of the lumps. Heat the mixture on medium-high heat until it comes to a full boil. Keep whisking until it starts to foam. At this point, your mixture should be pretty lump free -- the heat will have eliminated most of the lumps. Remove from heat. Transfer the mixture into a large bowl and let it cool down. Cover, then refrigerate the mixture in the coldest part of your fridge for at least four hours, or, ideally, overnight. When the mixture has chilled, remove cover and give the mixture a whisk to bring it together. Churn for 20 - 25 minutes in an ice cream maker, or, according to your manufacturer's instructions. Serve freshly spun -- it will have an incredibly creamy texture (almost that of soft serve) at this point. For a more traditional ice cream texture, transfer to an airtight container and freeze overnight. Bring the water to a boil in a small saucepan or in a tea cup in the microwave. Remove from heat, add the tea, and let steep for 4 minutes or longer (depending on how much you want your fudge sauce to taste like tea). Wring and remove the tea bag and pour the tea into a medium bowl. Add the chocolate, cocoa powder, and salt. Combine the corn syrup, sugar, and heavy cream in a heavy-bottomed saucepan and stir intermittently while bringing to a boil over high heat. 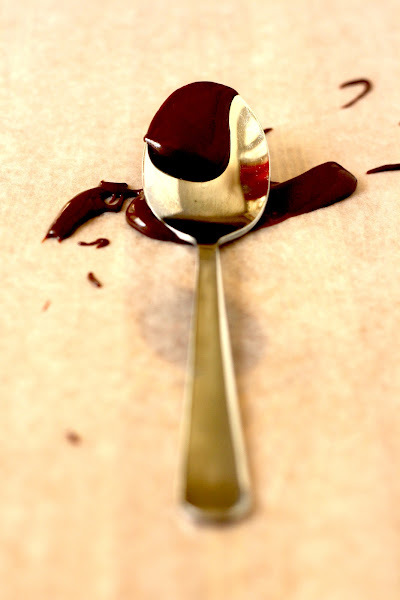 The moment it boils, pour it into the bowl holding the chocolate. Let sit for 1 full minute. Slowly, slowly begin to whisk the mixture. 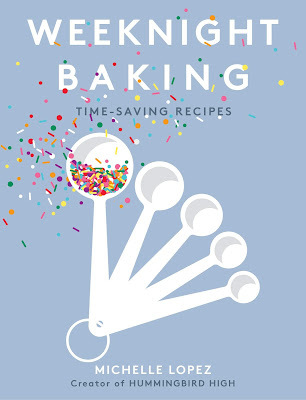 Then continue, increasing the vigor of your whisking every 30 seconds, until the mixture is glossy and silky-smooth. This will take 2 to 4 minutes, depending on your speed and strength. You can use the sauce at this point, or store it in an airtight container in the fridge for up to 2 weeks. Do not freeze. Thanks for the kind comments! Hahah, yes, I definitely recommend the ice cream maker attachment. 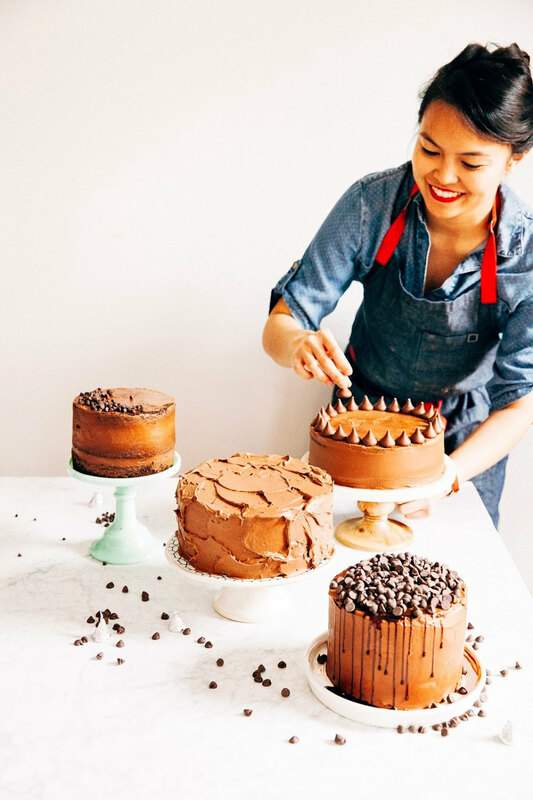 Since you're from the Bay Area, did you see that SF's BiRite Creamery and Humphrey Slocombe both released cookbooks recently? Can't wait to try their recipes! Hello :D I've been drooling over your blog for quite a bit now (lovvve the cupcake recipes) and I might have a helpful hint for you if you decide to make this recipe again. I actually bookmarked manu's recipe ages ago myself and, kind of coincidentally I suppose, have been scouring through Alice Medrich's Pure Desserts (awesome book). In it she says that because tea (especially green teas and I would think that includes the ever awesome matcha powder :o) can become so bitter due to the tannines in them when heated, cold infusion is the best way to extract their flavor. She had shown this in Jasmine ice cream (almost the exact recipe above) where she simply infused the loose leaf tea in cold cream overnight, then strained and proceeded with the recipe. Maybe make a slurry with the green tea and a bit of milk, then add the rest and do the same? It miiiiight maybe tone down the bitterness a touch :o I'll be giving it a try. As for your advice, I've definitely heard of cold brewing/infusing techniques working out better and getting rid of that bitter aftertaste. In fact, I have a recipe for green tea cupcakes that ill be posting shortly that infuses milk with green tea. I never thought about using it for this ice cream recipe though - ill definitely give it a try the next time I make this recipe! Such a good idea. I'll be sure to let you know how it goes! You might have gotten the bitter taste because that's quite a lot of matcha powder. 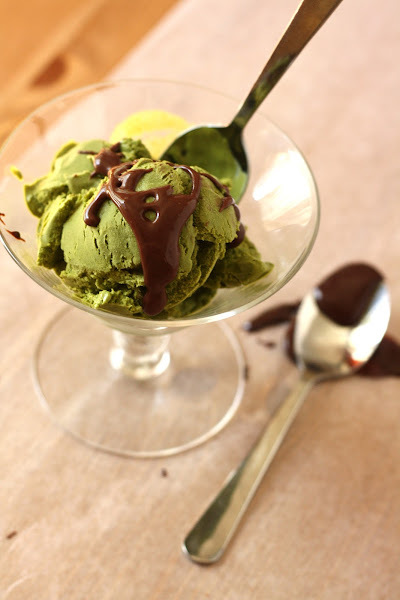 I've seen other recipes calling for just a tablespoon of matcha. Also, not all matcha powder is created equal. I think the higher grade matcha is sweeter and less bitter. Either way, this looks delicious! I'm going to have to try it with some slight modifications.